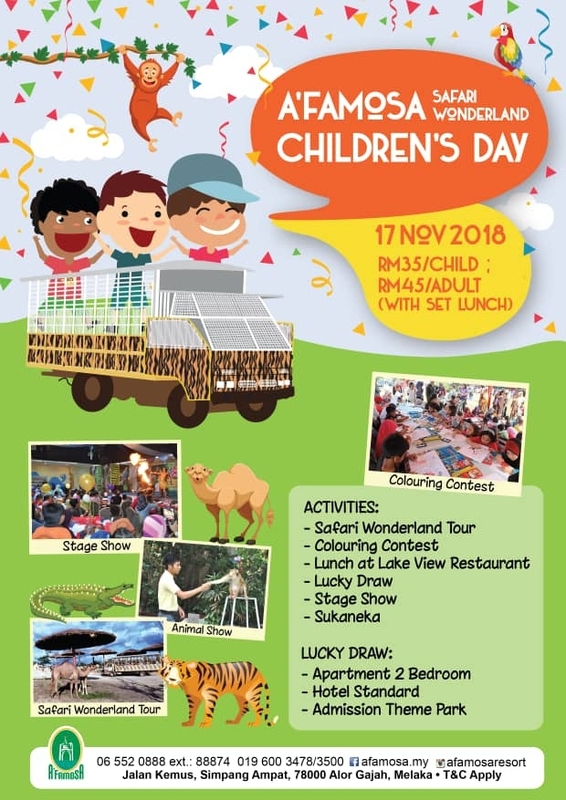 Celebration A'Famosa Children's Day with us! 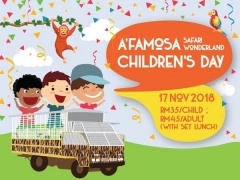 Fun & excited adventure with your child in A'Famosa Safari Wonderland! 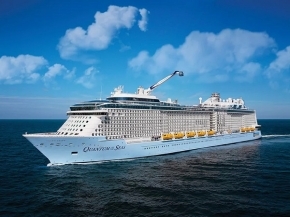 Elephants encounter, multi-animal show & more amazing activity are waiting you to explore! The Most Excited #SafariWonderland Tour are in A'Famosa Resort Melaka! Experience the Real Adventure feeling with your children's just from RM35/Child* & free lunch provided! Register now & more amazing activity such as colouring contest, animal encounter, safari tour are waiting for you to explore! Check out A'Famosa Facebook Page for more details about this offer and to know the latest happenings!